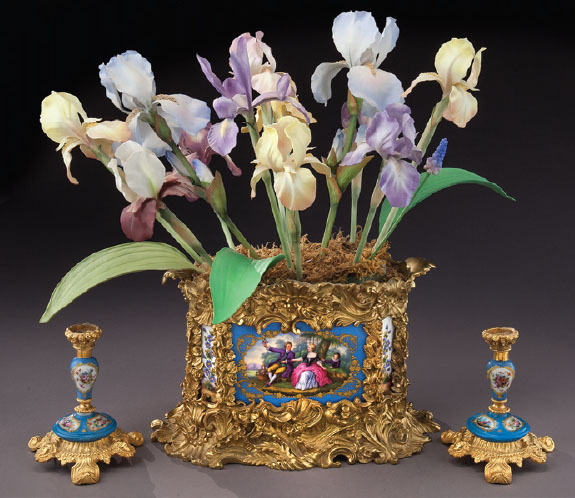 The lifetime collection of Mr. John W. Lolley of Monroe, Louisiana, to be sold in a series of three auctions. Session two includes nearly 700 pieces of art glass with an emphasis on early Mt. 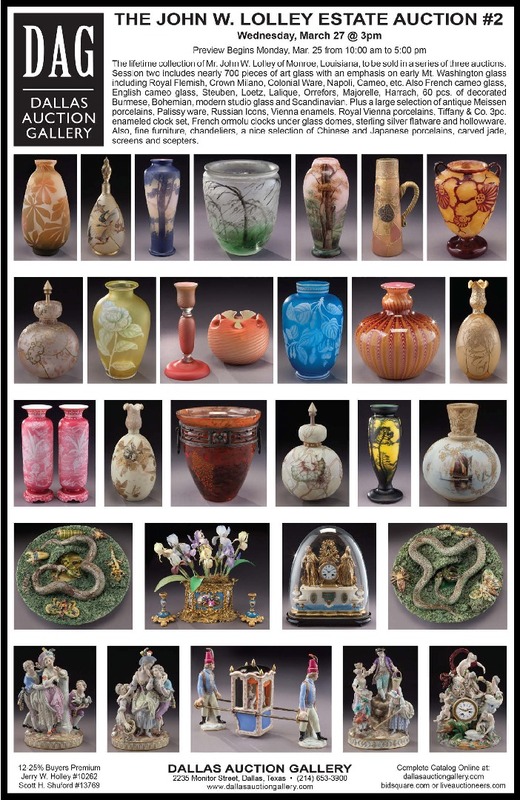 Washington glass including Royal Flemish, Crown Milano, Colonial Ware, Napoli, Cameo, etc. Also French cameo glass, English cameo glass, Steuben, Loetz, Lalique, Orrefors, Majorelle, Harrach, 60 pcs. of decorated Burmese, Bohemian, modern studio glass and Scandinavian. Plus a large selection of antique Meissen porcelains, Palissy ware, Russian Icons, Vienna enamels, Royal Vienna porcelains, Tiffany & Co. 3pc. enameled clock set, French ormolu clocks under glass domes, sterling silver flatware and hollowware. Also, fine furniture, chandeliers, a nice selection of Chinese and Japanese porcelains, carved jade, screens and scepters.